There are currently 15,038 users on this website. 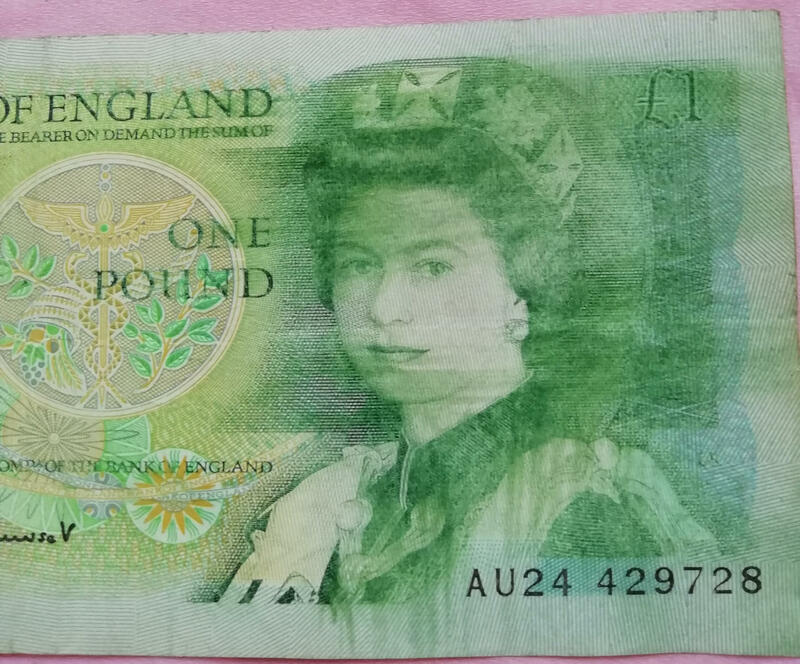 Old English £1 Note, Appears To Be A Misprint? Can You Tell Me More? Hi folks, My uncle Ed has had this note floating around for years, and he asked me if maybe I could help assigning some sort of value to it? If any? Any info would be great really. It is basically a misprint, from the look of it. Looks to me like it has been rubbed possibly with a chemical to remove the printing. You can see rubbing lines going both ways on the note. Anything done after the note was printed is just damage and adds no extra value. Hmm...years ago Ed says a guy who was buying some old coins off him, was very very interested in this note. But yeah I do agree it looks like its smeared, and I dont know if that kind of thing happens in the process. Thank you for the information, much appreciated. My assumption would be that someone attempted to delete the Queen, presumably using some kind of solvent. You can see "smears" of ink running downwards from the bottom left edge of the portrait; that doesn't happen with a "missing ink" misprint. Guess I will never know, I think he has been sitting on this note for um... darn probably over 40 years. Looks chemically altered. If you shine a UV light you might be able to see the chemical stains.